Simple ‘flat’ events can be imported from a csv file. This is possible with a third party csv import plugins. The amr-events plugin attempts to use the wordpress meta data as simply as possible to facilitate this kind of easy integration with other plugins. Events can be complicated: they can recur, be in different timezones, have exceptions to their recurring definition, have alterations to some instances etc. These ‘complications’ cannot so easily be imported. From a brief review of the csv import plugins out there, starting with the self named “ultimate csv importer” and backing away in disappointment, I read reviews of a few others and decided to try the really simple importer. It worked so nicely and cleanly that I stopped there! imports the data with limited fuss, very sensibly using the column headings, making sensible defaults for missing fields instead of insisting that they are mandatory data. eg: choose to include a post_status, or let it default to draft and ‘publish’ it later. So how to import events? 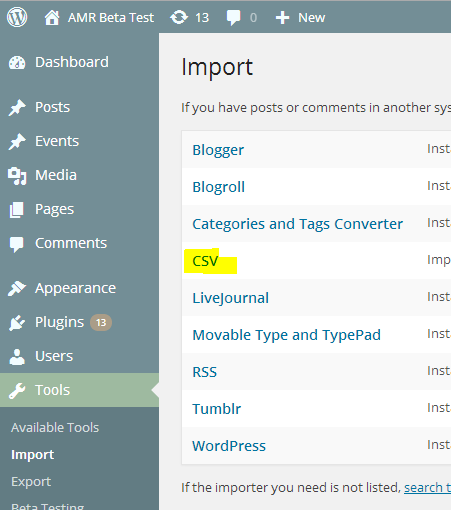 some of the standard wordpress post data, as little as your chosen csv importer will cope with. 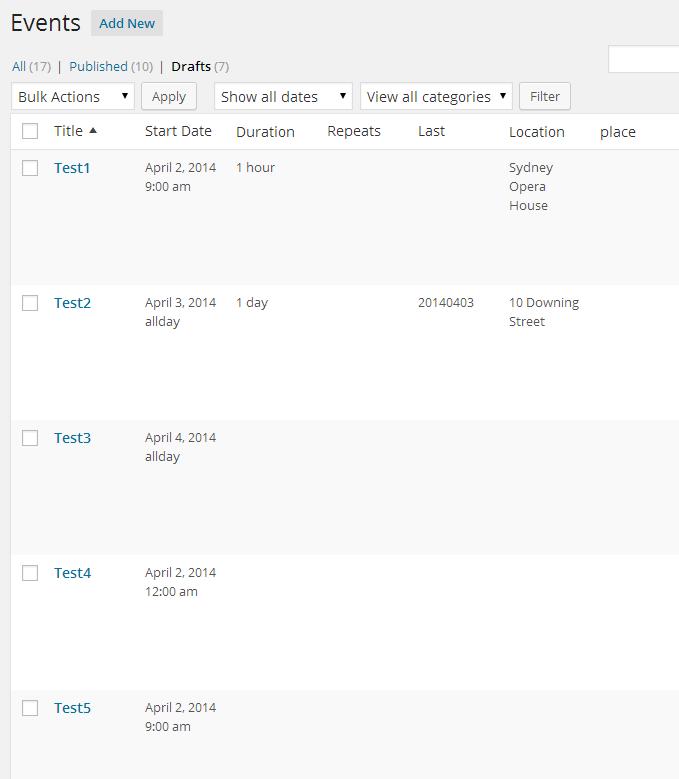 see your sample events post-meta in phpmyadmin for more possibilities. If you experience any problems, please consider carefully whether it is a problem with your chosen CSV importer and if so, log your support query there. If some data goes in a bit wonky – maybe you set it up a bit wrong, the amr-events plugin does try to correct things – update the post and save.